My friend and colleague Beth Holland presented at TedEX! First off, I want to publicly thank Grant Lichtman for the subconscious inspiration for this talk. In reading The Falconer, something inspired this concept and I submitted the proposal below. 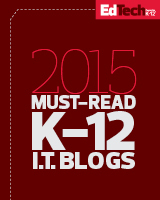 This entry was posted in Education on November 21, 2013 by Jennifer Carey.